Francis Y. Owusu is a professor and the chair of the Department of Community and Regional Planning, Iowa State University. He is also an affiliated faculty of the African and African American studies program and the graduate program in sustainable agriculture. 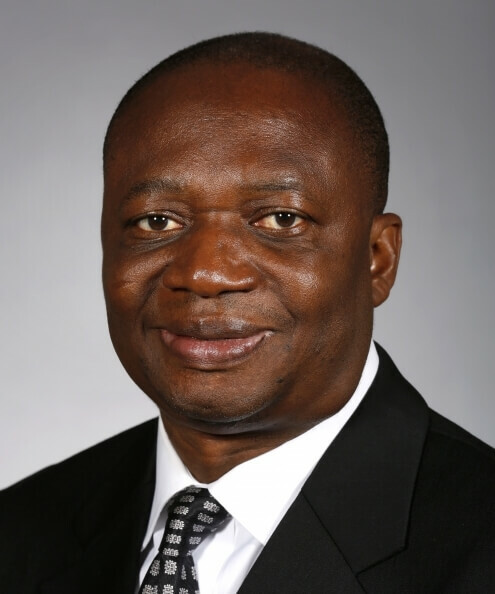 Before coming to ISU, he was an assistant professor of geography and political science at Seattle Pacific University and a research analyst at the Environmental Quality Board of Minnesota Planning, St. Paul, Minn. Owusu received an honours Bachelor of Arts in geography and archaeology and a Master of Arts in population studies from the University of Ghana. He holds an Master of Arts in geography from Carleton University and a doctorate in geography from the University of Minnesota. Owusu teaches graduate and undergraduate classes on international development, globalization, urban planning and planning methods. He has supervised several master's and doctoral students. He has won several teaching awards, including the College of Design’s 2006 Polster Teaching Award and a 2007 Memorable Teacher Award from the Center for Excellence in Learning and Teaching. His research examines the relationship between neoliberal economic reforms and urban livelihood strategies, explores the relationship between organizational cultures and public sector reforms and engages debates over the theoretical and conceptual issues surrounding development policy. Originally from Ghana, he has conducted research on these topics in several African countries and has authored several journal articles, book chapters, book reviews and reports. He is co-editor of a forthcoming book, "Managing Africa's Natural Resources: Capacities for Development," published by Palgrave. He also edited/co-edited a special issue of GeoJournal: An International Journal of Human Geography and Environmental Sciences (Vol. 62, No.1-2, 2005) and Progress in Development Studies (Vol. 12, No 2&3, 2012). He has received several research awards, including the Best Economic Geography Dissertation Award for 2001 and the 2013 College of Design Faculty Research Award. He has consulted for several international organizations, including the Partnership for African Social and Governance Research, the World Bank and the Africa Capacity Building Foundation. Owusu has also held leadership positions in academic and professional organizations, including serving as a student director (1996-99), a member of the board of directors (2002-05) and the chair (2005-08) for the Africa Specialty Group of the Association of American Geographers. He also severed as a member of the board of directors for the Economic Geography Specialty Group of the AAG (2005-08).